David Davis is one of the most recognisable politicians in the United Kingdom today. With his broken nose and unremitting self-confidence, he is the Brexit Secretary charged with securing the best possible deal for the country following its exit from the European Union in 2019. “Old Knuckleduster: A Biography of David Davis” covers the full David Davis story. From his birth in York in 1948 and growing up on a council estate in London, to his years at the University of Warwick where his political views began to crystallize, to his time in business with Tate & Lyle before entering Parliament. It details his political career as he has moved from backbench MP, to defeated Conservative Party leadership candidate in 2005, to his phoenix-like resurrection as Brexit Secretary in the present day. Following the purported political demise of Theresa May, after the 2017 general election, many believe he will become a Conservative Party leadership candidate once again. Whatever the case, the next few years of British politics will see David Davis front and centre. The “Concise Political Histories Series” is a collection of works which aim to document contemporary politicians in 10,000 words; they offer biographies that cut right to the heart of each individual’s story. This is the debut title. The Rt Hon. David Michael Davis is the current Member of Parliament for Haltemprice and Howden, a constituency in the East Riding of Yorkshire. He has occupied the special cabinet role of Secretary of State for Exiting the European Union (more commonly known as Brexit Secretary) since July 2016. He is a member of the United Kingdom’s Conservative Party and has served as an elected MP under their whip since 1987. Before 1997, Davis was MP for the seat of Boothferry, which no longer exists as a seat due to boundary changes. He rose quickly to prominence when he entered parliament and, by 1990, he was trusted enough to be made a party whip. 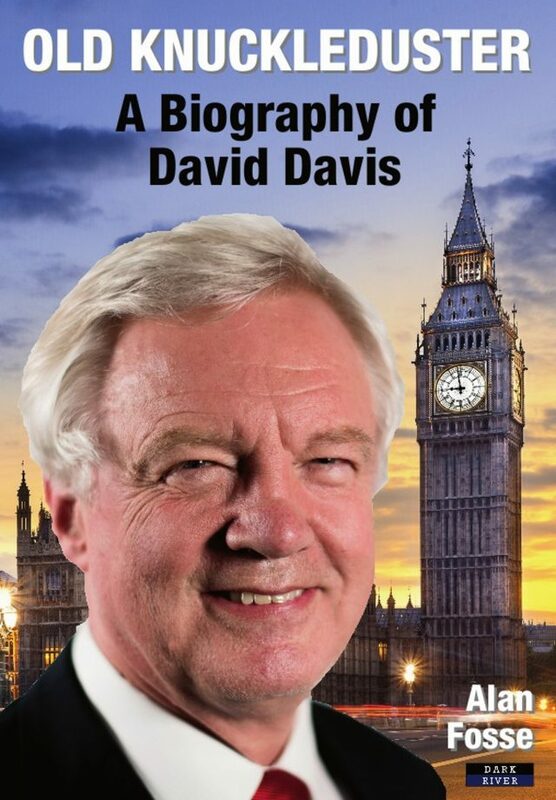 6’2” tall, with a much-broken nose, and an action man image, David Davis is one of only 33 MPs still in parliament from the time of the second Thatcher government. He was one of just 165 Conservative MPs to survive the infamous wipe-out of 1997 intact, a credit to his popularity and staying power. His current seat is generally considered to be one of the safest for the Conservatives, as he currently holds a majority of some 30% over the nearest candidate. Before becoming a Member of Parliament he was active in the British SAS (Territorial Army) and helped to run a major sugar conglomerate, Tate & Lyle, from 1973 onward. He is sometimes called ‘The Old Knuckleduster’ and ‘Double-D’ has been compared to Winston Churchill in wartime mode by his admirers. Equally, he has also inspired controversy and some derision for his unique non-partisan viewpoints, distrust of the European Union, and style of leadership even amongst those who (in theory) agree with his political allegiances and views.